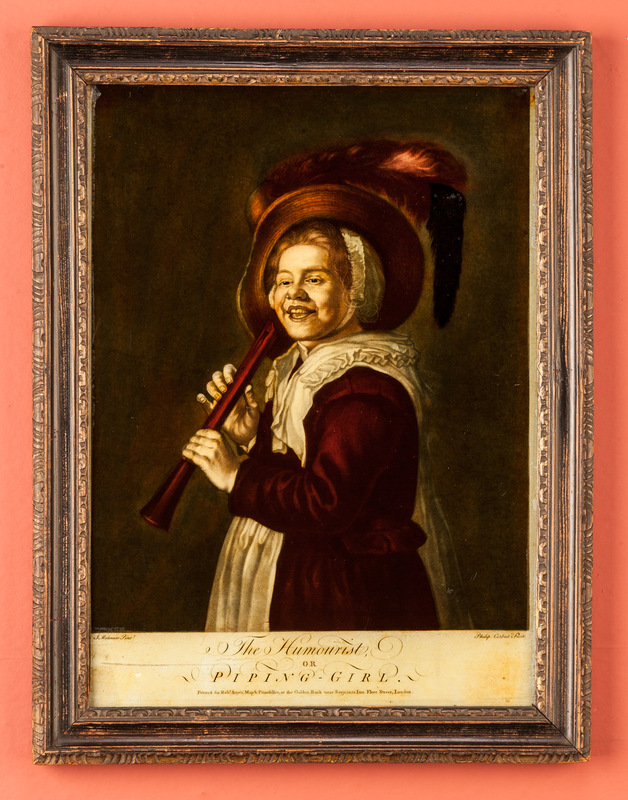 Reverse painted mezzotint laid down onto glass; The Humourist or Piping Girl. Engraved by Philip Corbut after the painting by Jan Miense Molenaar, printed for Robert Sayer and London published circa 1758. Within the original carved 'Hogarth' frame.